plants. The results also showed that treatment K3 applying SRI methods combined with legowo 6:1 row planting system is the best treatment compared with other treatments. SANJAYA, I Putu; TIKA, I Wayan; -, sumiyati -. PENGARUH TEKNIK BUDIDAYA SRI (System of Rice Intensification) DAN LEGOWO TERHADAP IKLIM MIKRO DAN PRODUKTIVITAS PADI KETAN (Studi Kasus di Subak Sigaran). 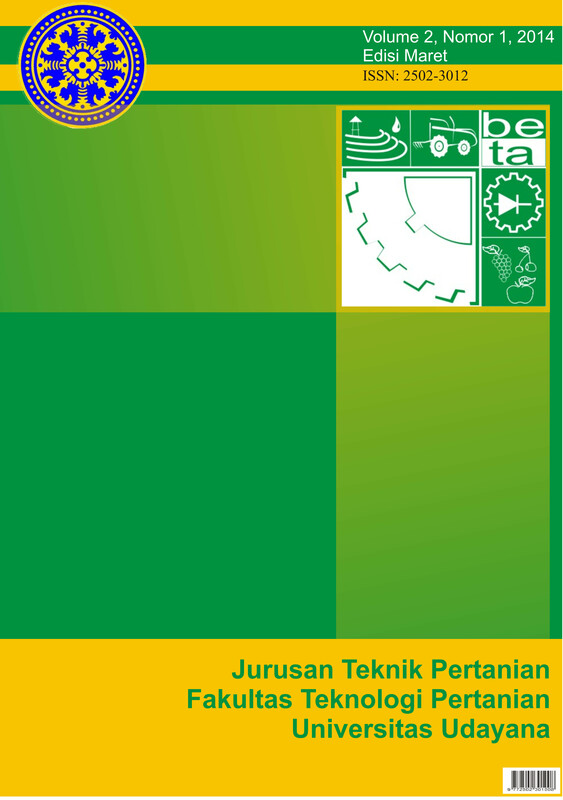 Jurnal BETA (Biosistem dan Teknik Pertanian), [S.l. ], v. 2, n. 1, feb. 2014. ISSN 2502-3012. Available at: <https://ojs.unud.ac.id/index.php/beta/article/view/16638>. Date accessed: 22 apr. 2019.